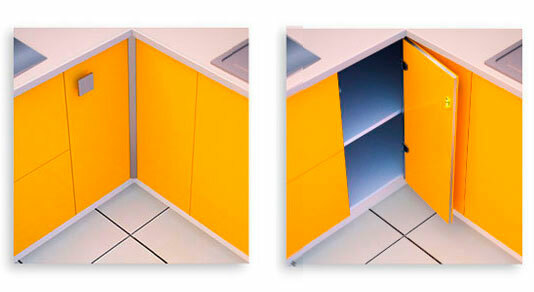 rincoplus40 is a corner hinge which converts L-shaped cabinets into 100% accessible space. 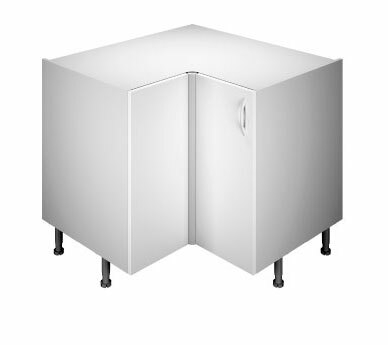 Innovative, practical, quick assembly and customizable. It makes corner cabinets 100% accessible. You can either open one door or both for full access. 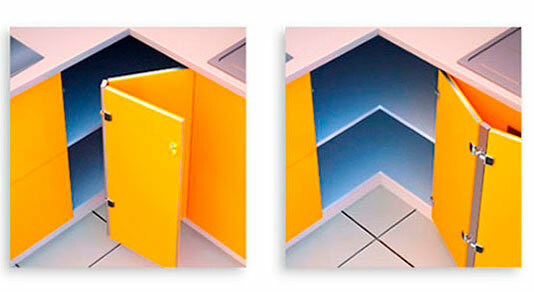 Rincoplus takes up 40 mm in 90° corners, independently at the thickness of doors. It functions perfectly for corners. Exclusive Rincomatic catch keeps the doors correctly aligned and its roller prevents damage to the adjacent door. 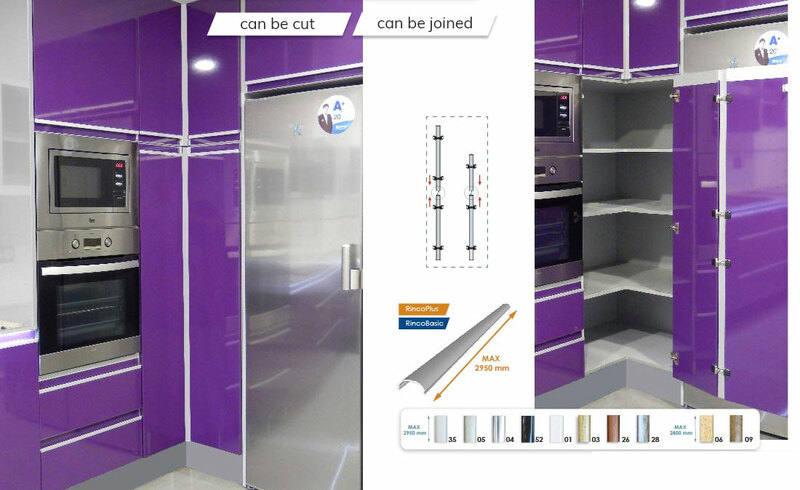 Set of moldings rincomatic – syma covers up the gap left by profile handles of the corner. 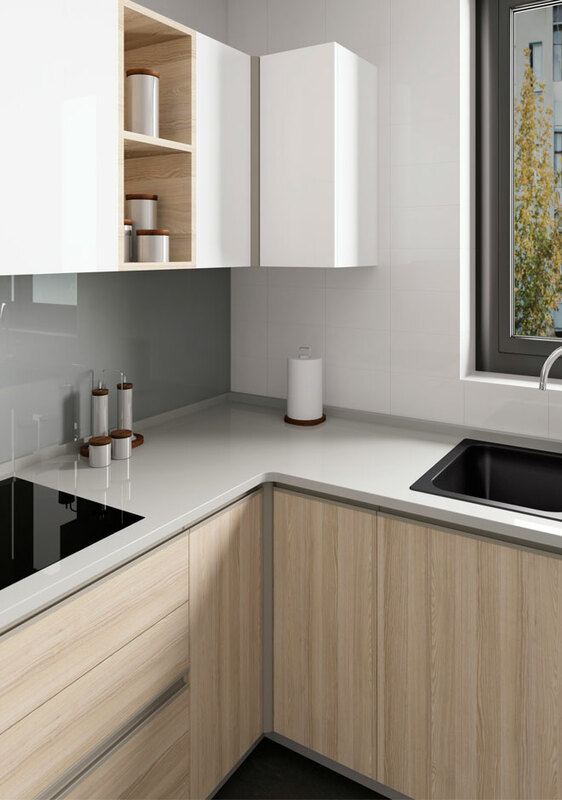 It includes straight caps and an adjustable system which allows to customize it by inserting a decorative flat sheet, (width 31 mm; thickness from 0,4 to 2 mm). It can be cut up to 90 mm ad any of its ends. Each rincoplus40 includes a connector which allows to join several units in order to get the required height.